Fast food has become a vital part of our life and it is ruining our health day by day. So, I think we should all try to eat home made food. 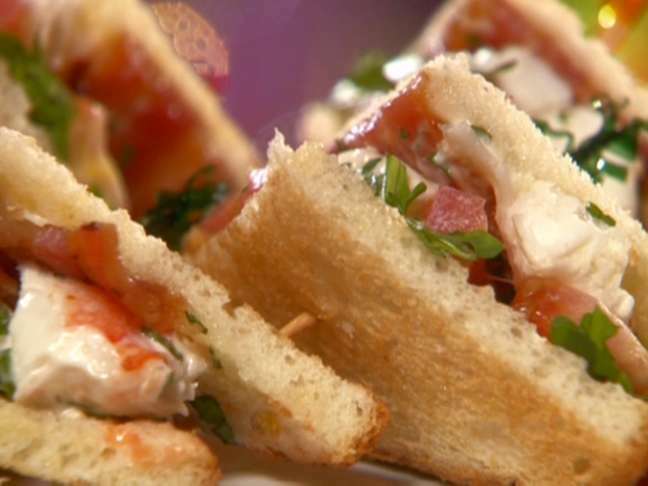 You can try your favorite food items at home. At least you will be eating clean and hygenic food this way. 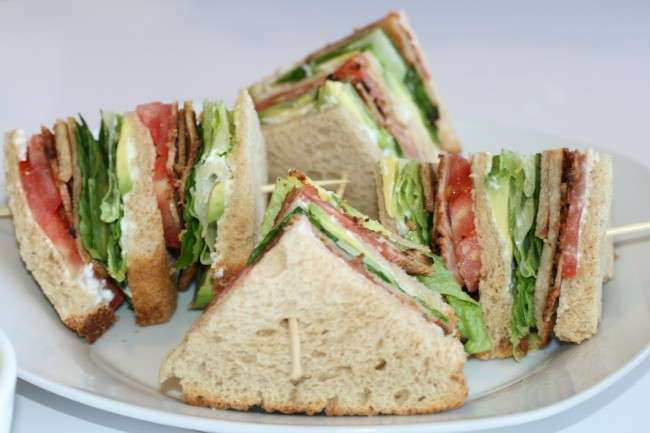 If you want to live a healthy life then eat light food so that your body can digest it properly. 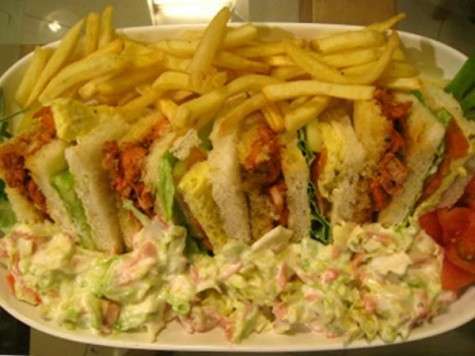 Today I am going to share a very special recipe of Tandoori Chicken Sandwich. They are so light and delicious. You can easily make them at home and try them at any meal. If you love good food and cooking then I think you should definitely try this one out. You won’t regret it I can say this for sure. The list of ingredients is given below. Chop the 2 cup roasted chicken, mix with 1/4 tsp salt, 3/4 tsp pepper, 3/4 tsp mustard powder, 1/2 cup mayonnaise and 2 tbsp ketchup. 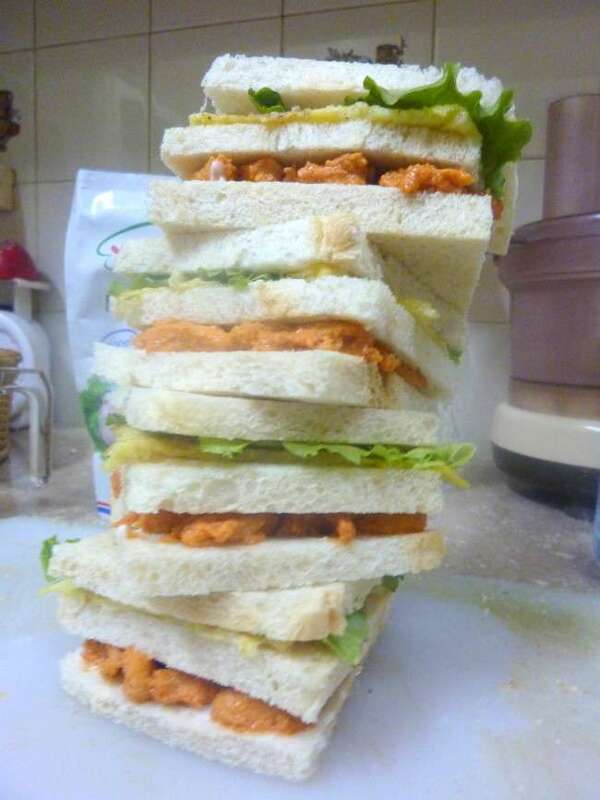 Slightly toast 8 bread slices, apply mayonnaise and put prepared chicken mixture. Cover with second slice of bread. 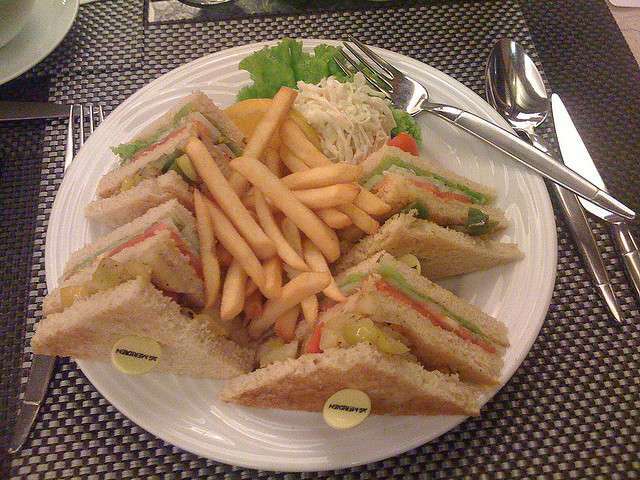 Now put one salad leaves, cucumber slices, tomato slices and a piece of omelets, cover with last 3rd slice of bread. Cut into 4 triangular pieces, fix with tooth picks and serve with fires and Coleslaw salad. Marinate 2 chicken breasts with 2 tbsp national Tandori Masala, ½ tsp ginger garlic paste and 2 tbsp lemon juice. Cook marinated chicken in pan with 2 tbsp oil and 1/2 cup of water till tender. Take off from flame and shred the chicken.